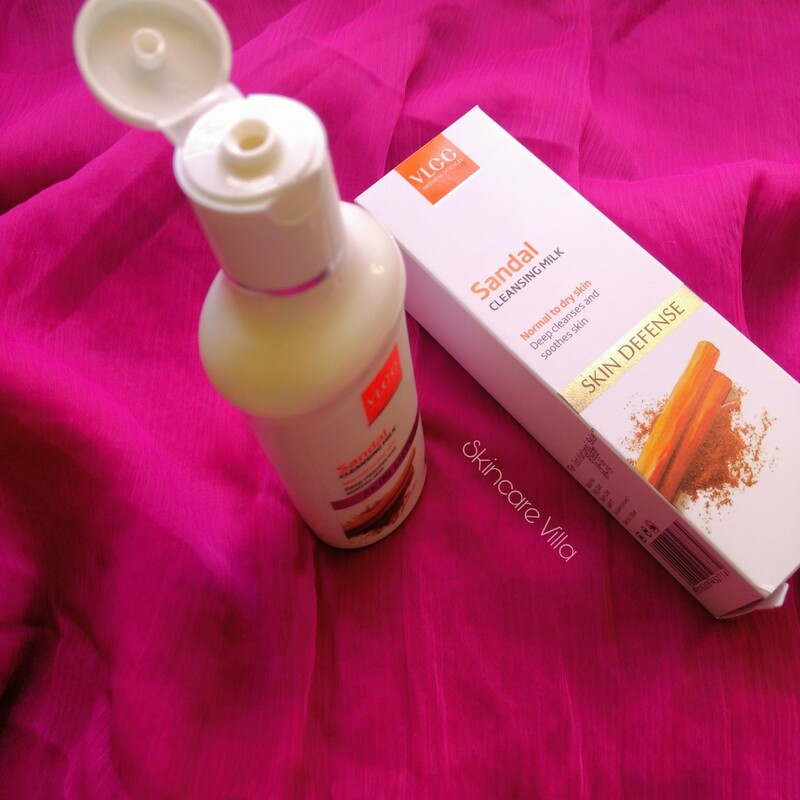 I had purchased Ida Naturals Natural Skin Glow Pack long back and used the product half way through. But alas, I forgot to review it for you all lovely people. So as they say, better late than never, let's head straight to the review. 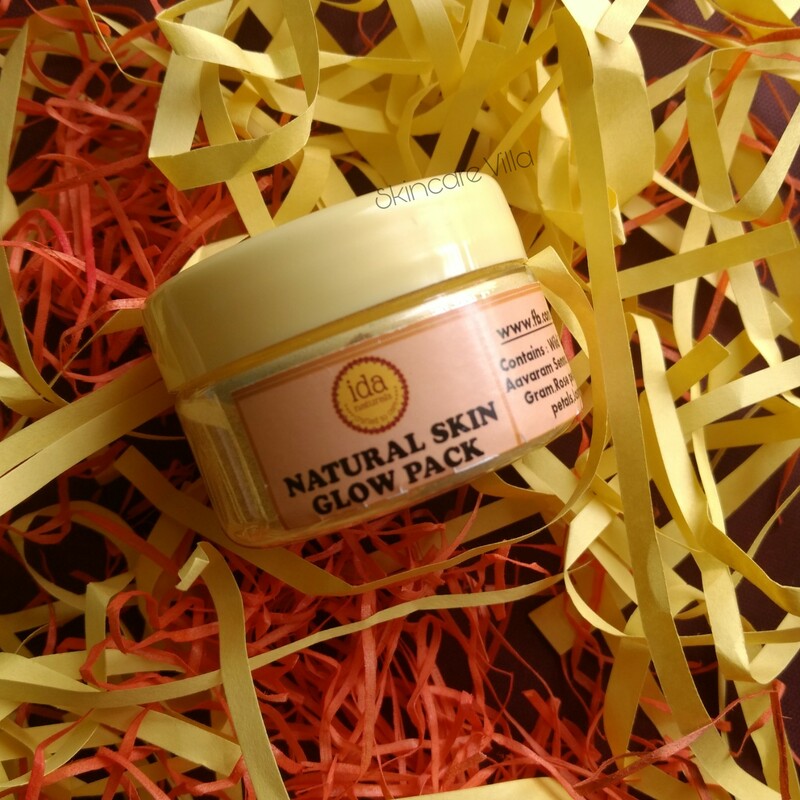 This Natural Skin Glow Pack is a 100% Herbal pack that can be applied on the face or body. This pack provides all the natural nutrients required for improving the growth of skin tissues, replacing dead skin cells and repairing skin damage. With regular application of Natural Skin Glow Pack, skin will start looking up - naturally healthy and glowing ! The packaging is quite simple, plastic airtight tub with product information label on it. The jar is quite compact and travel friendly (oh yes I like to travel with my powder cleansers 😀). The product is grainy in nature with slight powdery as well as grainy particles. I totally the texture once I mix it with water for washing the face. 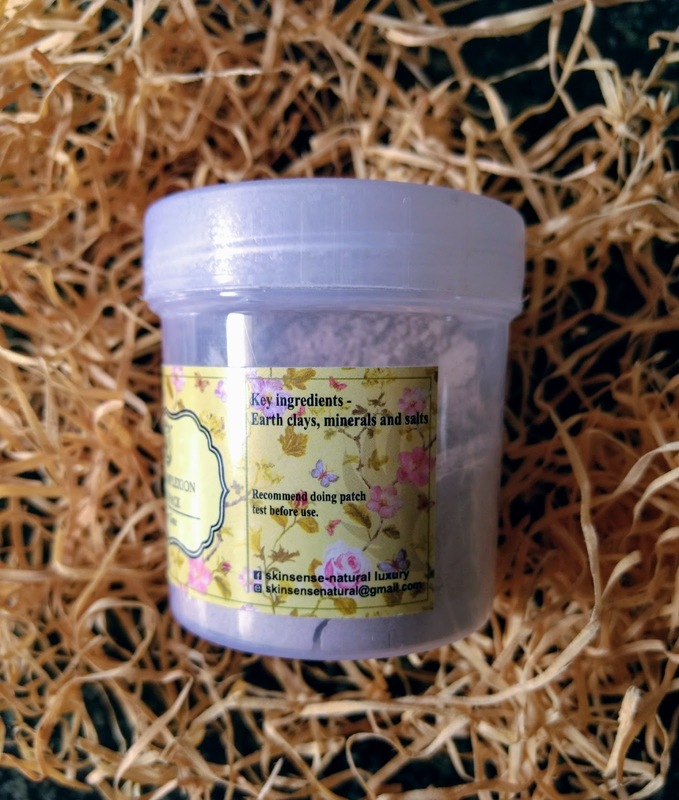 The face pack has a herbal fragrance and has a light yellow colour. I usually waha my face twice or thrice with this pack and each time I use, it leaves my skin squeaky clean and soft even toned. I like massaging my face with the pack which works as a mild scrub as well as polishing thing. After washing it off, skin becomes super soft, smooth and glowing. It removes all the dead skin cells and adds a glow to the skin. No wonder powder cleansers leave your skin super clean when used in the right way. I like scrubbing the face pack on the areas where I have some acne marks. This face pack when applied as a mask works similar to the cleansing action explained above, so i don't like wasting my time using it as a face mask, instead I would use as a cleanser and save some amount of the product 😛. 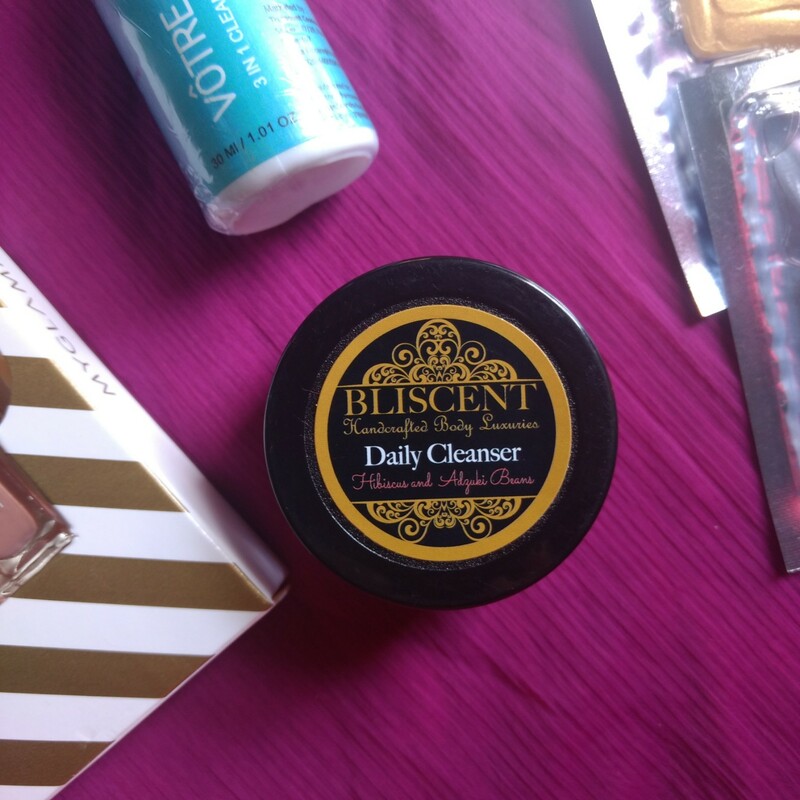 Overall speaking a must buy if you love using powder cleansers and want glowing skin. Price, Shelf life and Availability - 30 gm - Rs. 200 INR. Product needs to be kept away from water and moisturise. Available for orders via Ida Naturals FB page and Email. 5 shades of black! Black Sarees that let you rule the world! In the world of fashion, black has always been the most preferred choice. It is a colour that doesn’t discriminate and disassociate. Regardless of the shape and size, it embraces all. It makes you look slimmer and it suits every skin type and complexion. Pastels and prints may not bring out the best in you, but the colour black has got your back! At Bharatsthali, we have handpicked black sarees exclusively for you! Curated for your every day and exclusive wear, these sarees are must-haves for you! Add a dash of class, sass and jazz with this gorgeous black raw silk saree! Highlighted with a beautiful border and pallu, this saree lets you flaunt the best you! Wear it to a special occasion where you would want all eyes on you! Lay your eyes on this beautiful saree and you are left wondering, what more could you ask for really! Beautiful and classy, this saree brings the best of both worlds together! A silk saree in colour black- we call it the power pack. Elegant and easy, this saree can be sported for workwear and special occasions. If you don’t have time to change after work, this saree is the best bet. Retouch your makeup, wear dangling jhumkas and you are all set to woo hearts! Perfect for social and casual settings, this raw silk saree with jute pallu has all the elements to make you the showstopper and a trendsetter! Be the sartorial muse without leaving your comfort zone behind. Raw silk has natural sheen and exquisite texture, making the saree an apt choice for soirees while ikkat adds an artsy touch to the overall ensemble. Black has a beautiful aspect to it. The colour gives you a ‘trimmed’ appearance. It literally becomes the ‘black hole’ for those love handles that you wouldn’t like to show. When the colour black comes along with pure crepe Mysore Saree, you know it has to be in your wardrobe! Dominate the day with style, beauty and sass! Check out this black South cotton saree to never go wrong with your sartorial statement! The perfect choice for workwear and social events, this saree is what you have been looking for all along! The canvas of all colours, black is versatile and disruptive. You don’t need a designated moment to wear black, but the colour black can redefine a moment for you! In saree, the colour black is the synergy of charm, elegance and opulence! Irresistible, isn’t it? If you are confused what to wear to an occasion, pick a black saree and never go wrong with your sartorial choice! Yes, don’t forget to share your pictures with us! We at Bharatsthali look forward to your lovely drapes! 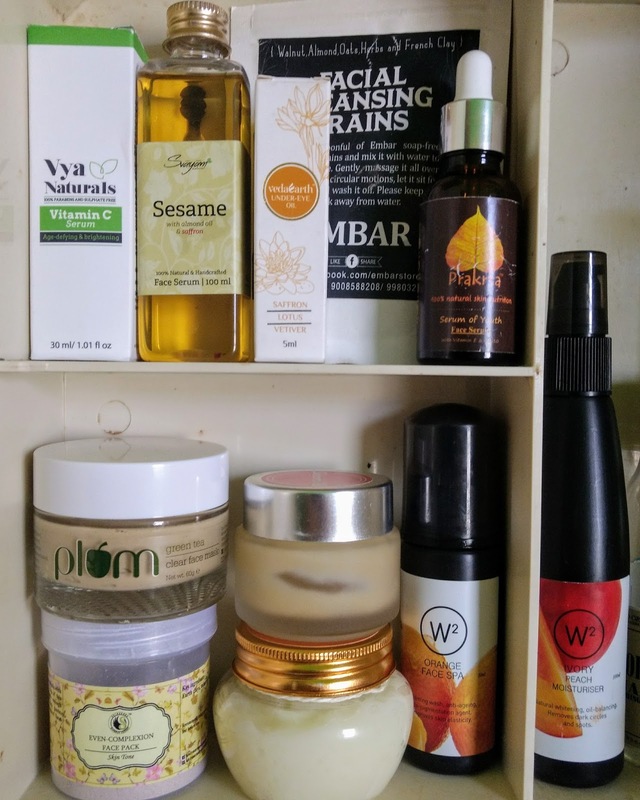 After posting my first ever shelfie of my skincare products, I got many requests to do a detailed blog post on how the mentioned products work for me or how I use them. So I thought why not post the blog post soon while the topic is fresh in the mind of you guys. Also let me tell you the skin problems I have, acne scars, pigmentation near chin and mouth area (very little now), hormonal acne. 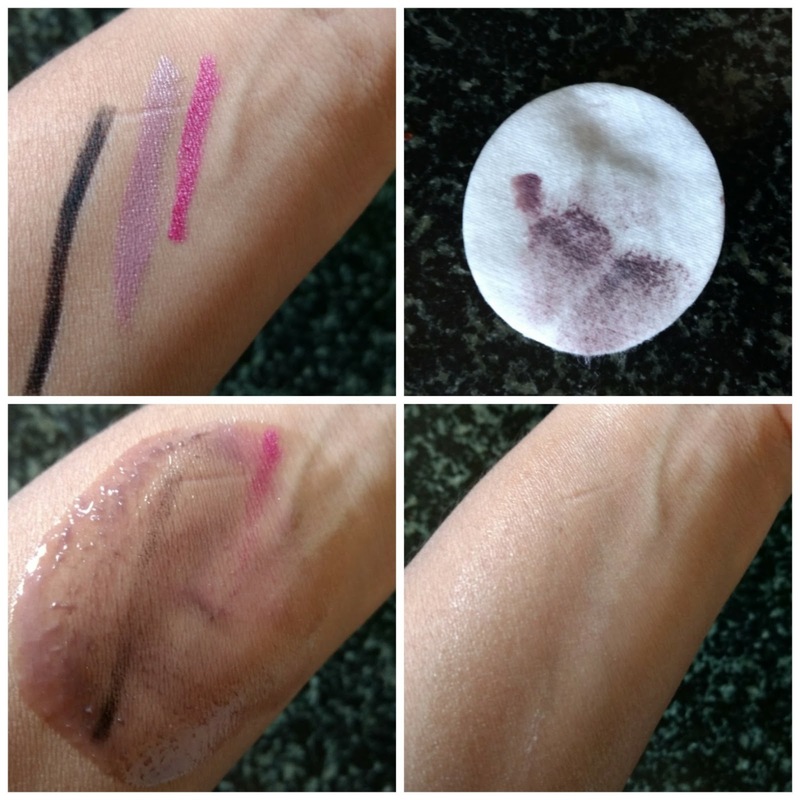 So let's get started on how the products fared for me and how I use them. Embar Facial Cleansing Grains - I switched to dry powder cleansers way back last year and my skin is loving it every bits. The Embar Facial Cleansing Grains are mild enough to scrub my face so I don't use a face scrub separately. Moreover the powder cleanser sometimes I leave after using and it acts as a face pack too sometimes. W2 Orange Face Spa Foaming Face Wash - When am lazy to use powder cleansers, I use this, foaming cleansers! There I admit the truth. We are human beings are doing something which takes that extra mile surely makes us crave for an easy way to do things. This face wash makes my skin squeaky clean and soft, I however limit my usage just once a day. Detailed review coming soon. DIY Cleansing balm - talk about the game changers in skincare and this is one of them. I truly believe oil cleansing the only thing you need if you want deep cleansing as well as skin nourishment. 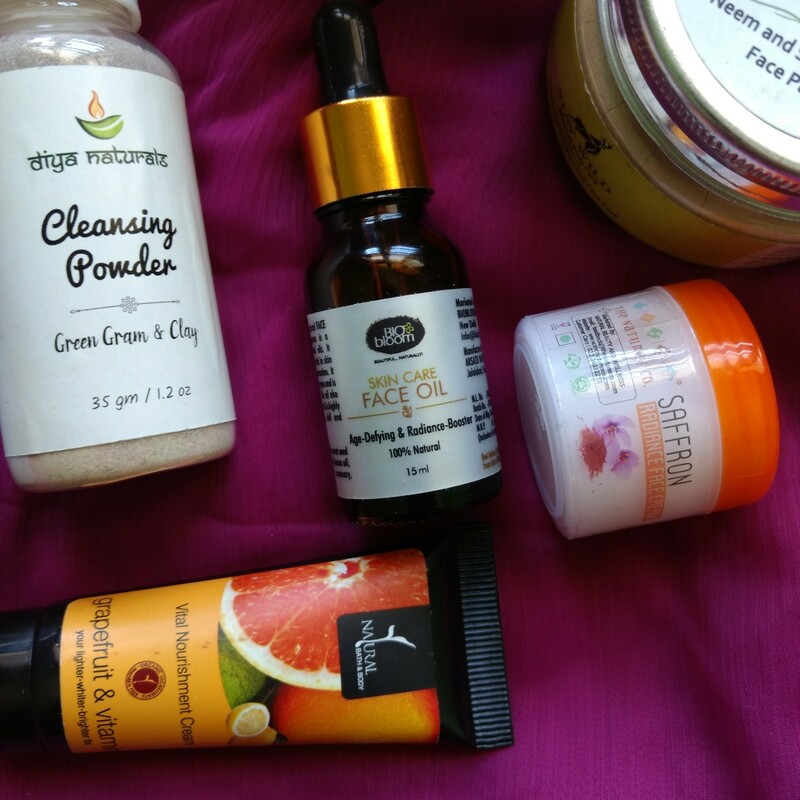 I use cleansing balm usually thrice a week as I don't use makeup on a daily basis. I have posted a DIY of this so go on and read it to check how I use it. 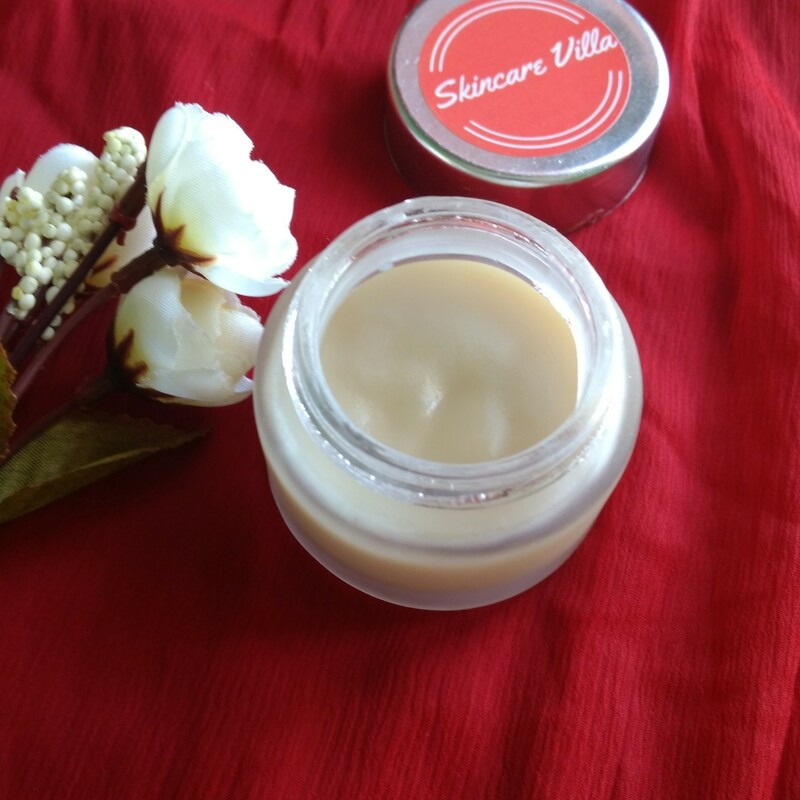 Svayam Natural Sesame Serum - I massage my face with this one to get rid of acne marks and pigmentation. Moreover my skin happily accepted it's thick texture and I cannot be happier than this. I use it once a week or twice a week now after including the below serums, else I was using it daily at night. 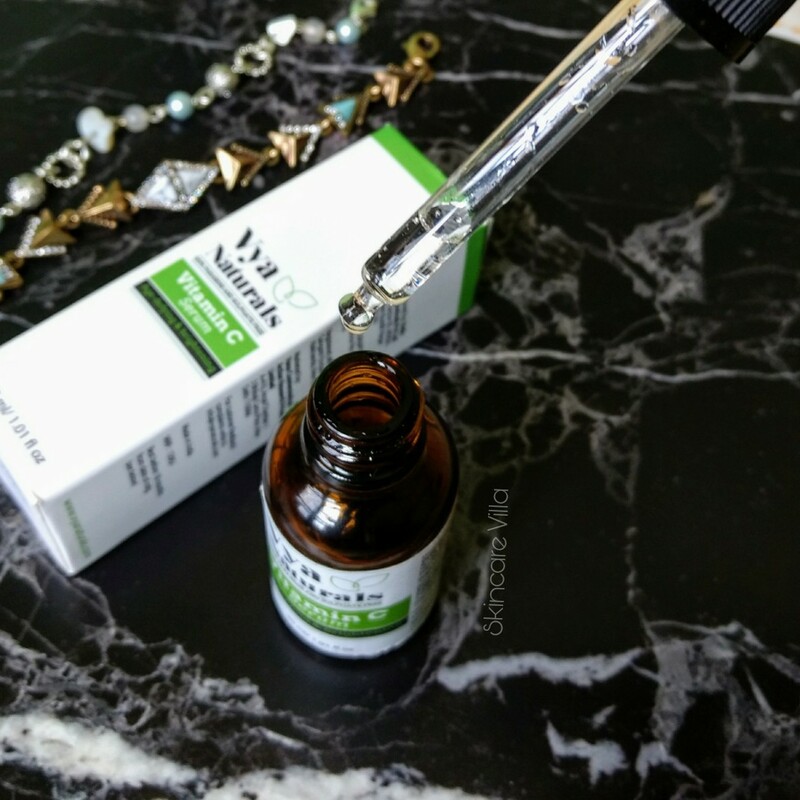 Vya Naturals Vitamin C Serum - the new kid in my skincare regime and the game changer. This is my first stint with Vitamin C and am loving the effects on my skin. It gets rid of acne marks and pigmentation around the mouth and nose. I used it consistently for two week and then I discontinued usage for one week. Also I strictly use it during night only and I avoid regular, super regular usage as Vitamin C makes skin sensitive with prolonged usage. I still use this sometimes maybe 2-3 times a week. Prakrta Serum - The only serum I love sniffing and which loves me back by giving me a brightening effect each time I use it at night. Check detailed review linked above. Also this goes will with the day moisturiser I use. 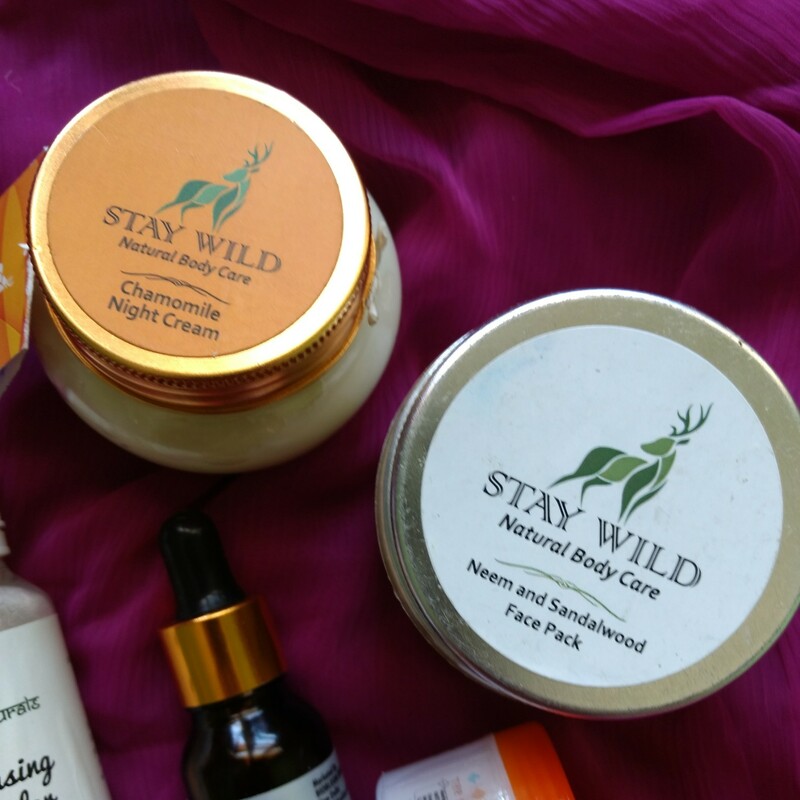 Stay Wild Child Chamomile Night Cream - this is a newbie in my regime and gives plump skin and shows effects even after waking up. Moreover this suits oily and normal skin more than dry skin and has anti aging benefits also without any harmful chemicals. I will be doing a review soon on this. W2 Peach Moisturiser - this is a light weight moisturiser which even goes well with Prakrta Serum. I use this moisturiser during day or night time as it's summers already and I need a very little quantity for each usage. Sometimes I skip my night cream and use this along with 2-3 drops of Prakrta Serum. Detailed review soon. I keep on alternating between the serums, oils and moisturiser mention above during night as per my mood and need. The W2 Peach Moisturiser is for day use only along with Prakrta serum. I don't like using oils during day in summers. Plum Goodness Green Tea Clear Mask - The only product you need for all your acne problems. It takes away acne and works good as a spot treatment also. I will be doing a detailed review on this soon. I use Plum goodness mask only when I get breakouts. I keep on rolling this one on my under eye area. But given the time I spend on my smartphone nothing seems to work on my under eye area. Guilty me!! 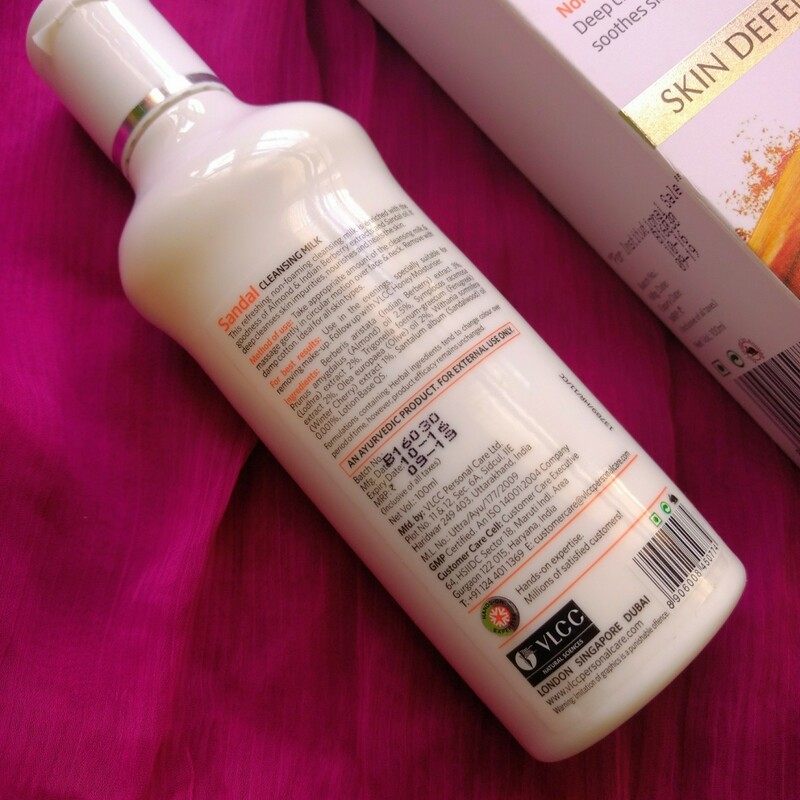 Uvmed SPF 50 - I quite like the fragrance of this sunscreen and since it's summers I use this one regularly even if am confined to my home till am able to walk properly. So I would like to clarify a few things about the products am using. 1) All products mentioned above are a part of present routine and all are devoid of parabens, mineral oil and other chemicals (except the SPF of course). 2) I use products according to my mood or my time schedule. I sometimes even skip my moisturiser during the day or the night cream so as to let my skin breathe. 3) Sometimes I use face packs daily if time permits and in the evenings I don't like using any moisturiser or serums or oil on my face. 4) Also I never ever go to bed without washing my face and brushing my teeth 😂. Ever since I have realized the importance of face packs in keeping a skin healthy, I tend to use them up on a daily basis these days and sometimes twice or thrice a week. 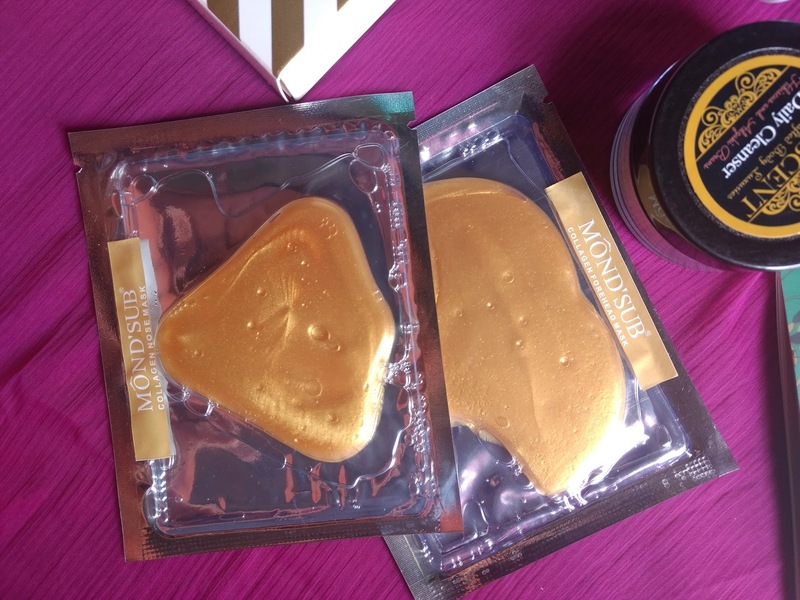 Skinsense Natural Luxury Even Complexion Face Pack I have used over a span of 2 weeks (weekly thrice) and am here to post a review on it. Brand claims - Even Complexion Multi-Clay and Mineral Face Pack clarifies, infuses your skin with oxygen, absorbs impurities, visibly evens skin tone and helps reduce skin discoloration and marks using vitamin E and earth minerals. Ideal for Large pores, blemishes, un-even skin tone. Ideal for these Skin Types: Oily skin, Dry skin, Combination skin, Normal skin, Sensitive skin, Acne-prone skin, Aging skin, Mature skin. Ingredients - Vitamin E , Antioxidants, Minerals, Multi-clay complex. Directions for usage - Mix a teaspoonful with water and apply on cleansed skin. Leave till almost dry and wash off. The Skinsense Natural Luxury Even Complexion Face Pack is housed in a simple plastic tub with the product information label on it. The jar is easy to use and is nothing fancy and can be reused after the product is emptied. The jar needs to be closed tightly after each use and every use and product has to be kept away from water and sunlight. Also this face pack needs to be mixed in plastic bowl with a plastic spoon. 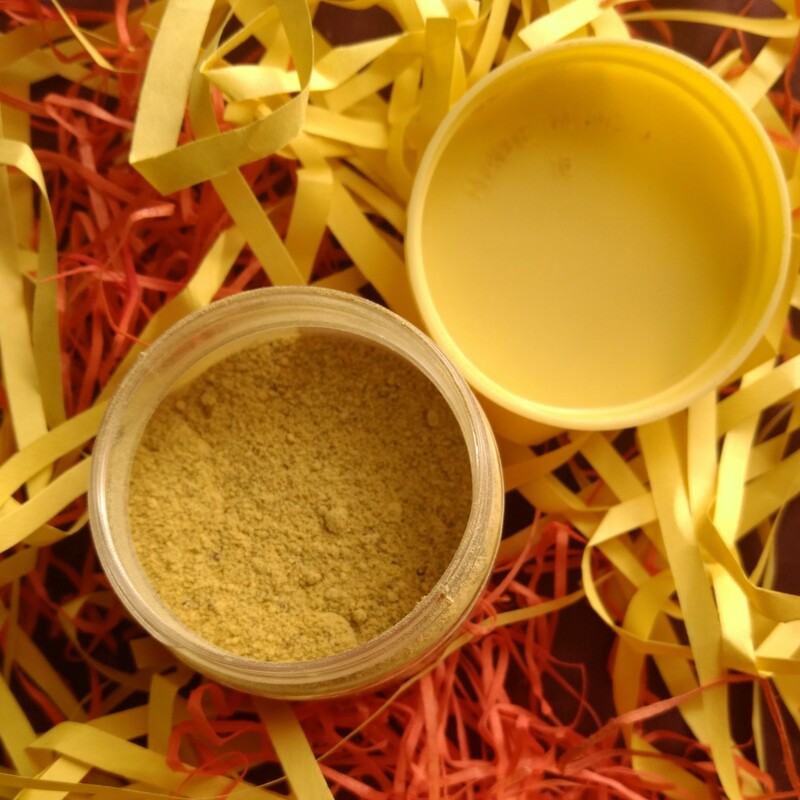 Coming to the consistency and texture of the face pack, consistency is powder form, which is not at all grainy and is fine powder. The colour of the product is muddy and smells amazingly well. I love sniffing the product while I mix it with water. Once we mix the face pack with water we can see bubbles emerging out of the face pack. At first I thought it's the powder which didn't get mixed properly, only to realize later that they were oxygen bubbles (oxygen as mentioned by brand). Once we apply the face pack on the face, the bubbles kind of burst on the face giving a nice feeling to the skin. I didn't feel any tingling sensation or any itchiness as the face pack dried with passage of time. The face pack doesn't dry out fast which is a good thing as the skin tends to soak up all the goodness of the face pack. The face pack gets washed off easily. Now the after effects of the pack, the skin becomes very even toned, as if we have applied some sort of moisturiser which plumps up the skin. I am really impressed by this effect of the face pack. I have not seen any effects in the reduction of scars or blemishes, maybe that will take time to show effects. The skin looks clear and radiant, as if the skin has been detoxed and made clean. I have never seen a dry face pack giving plump, even toned skin but this is one of a kind face pack. I am really sure to grab a pack once I finish this off. Skinsense Natural Luxury Even Complexion Face Pack is one of a kind which detoxifies the skin while giving and even toned skin. The face pack gives a very radiant and clear looking skin starting with first use itself. 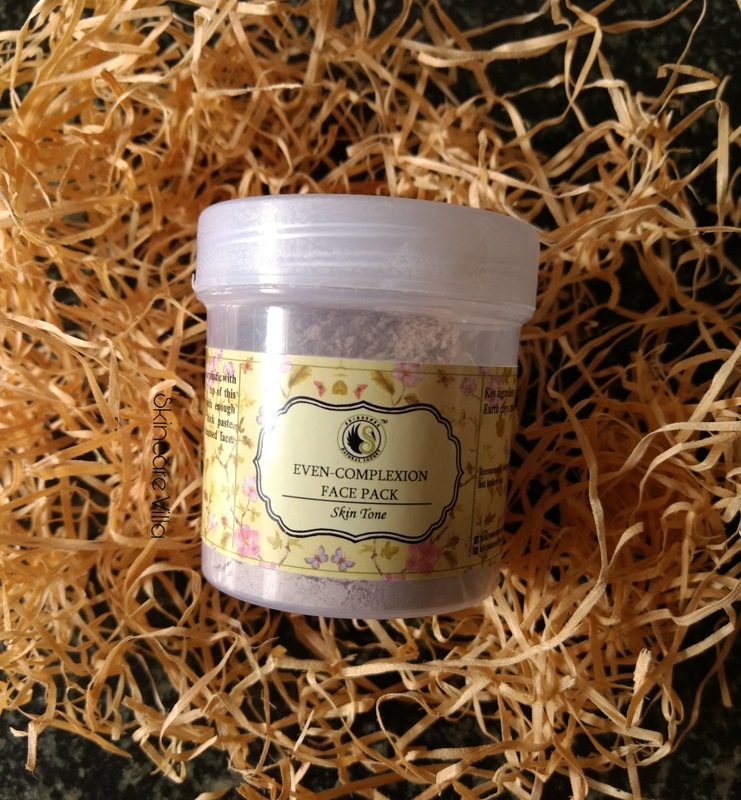 Moreover the face pack is a treat to the skin without any harsh chemicals. I am sure to buy another tub once this is over. I hope the month of March is treating you all well. I am busy with my shifting plans plus follow up appointment for my fractured leg. 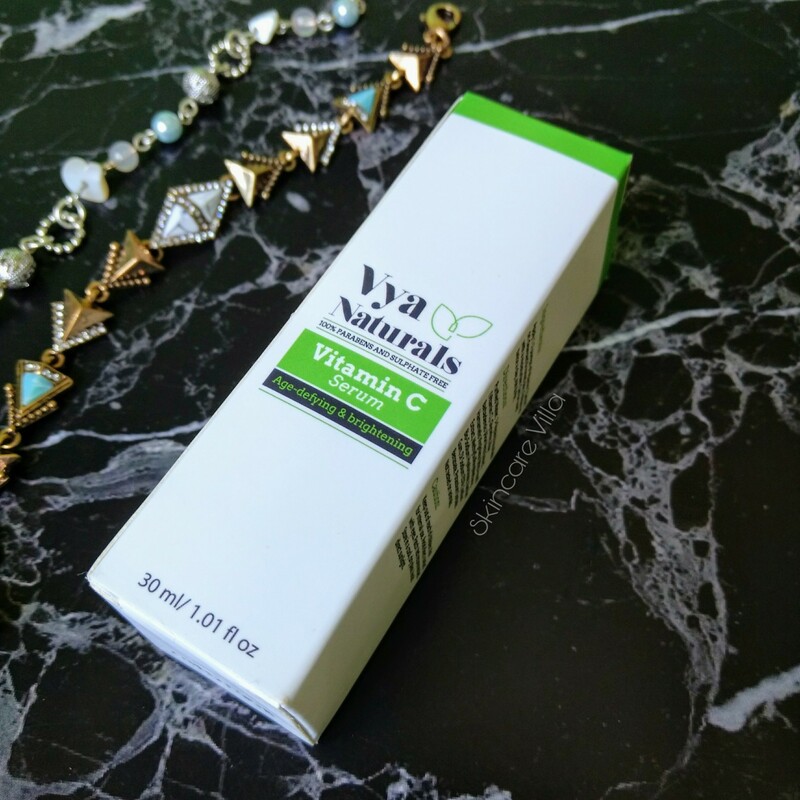 So few weeks back I received the Vya Naturals Vitamin C Serum which I have regularly used for 2 weeks at night and here am with my review. Let me tell you all, this is the first time am using a vitamin C Serum and am so so happy with the effects. First let's see what Vya stands for and their objective as a skincare brand. 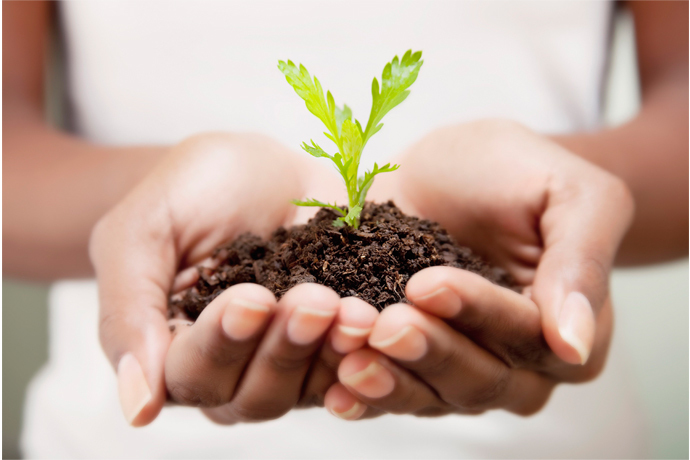 Vya Naturals products are formulated using natural ingredients that are not only safe and non-toxic but also effective. All formulations are original, created by the brand, and tested on people, not animals. 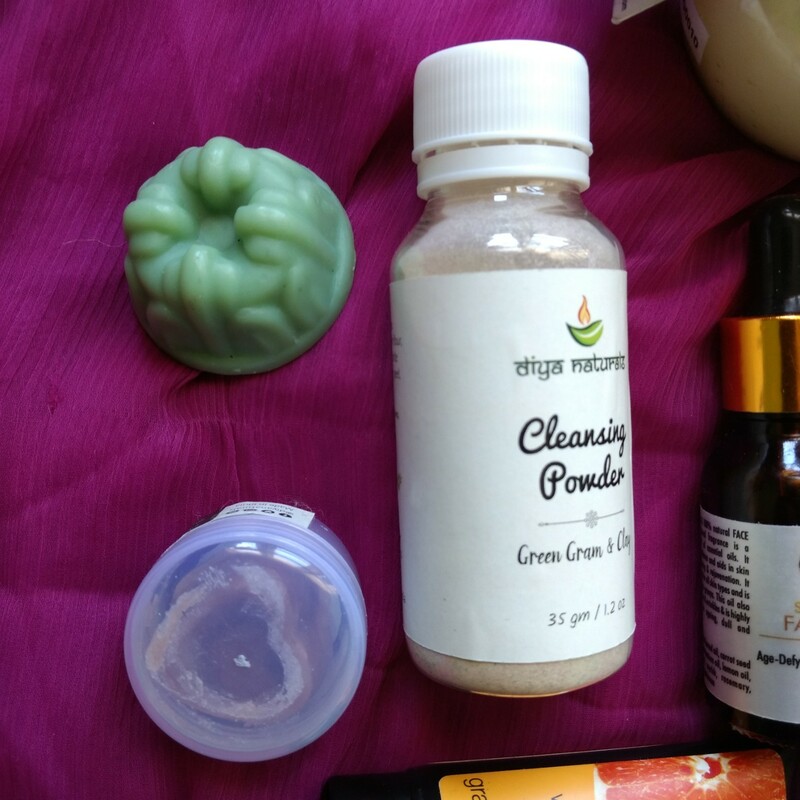 Vya Naturals uses therapeutic- grade essential oils, natural plant-based butters, natural clays and plant-based waxes. And they definitely DO NOT use parabens, sulfates, artificial colors, artificial dyes, mineral oils, formaldehyde, animal ingredients, artificial scents, phthalates, chemicals, fillers, mineral oils, or petroleum. Brand Claims - Vya Natural's Anti Aging and Skin Brightening Serum contains 20% Vitamin C to reduce uneven skin tone, dark spots and hyperpigmentation. 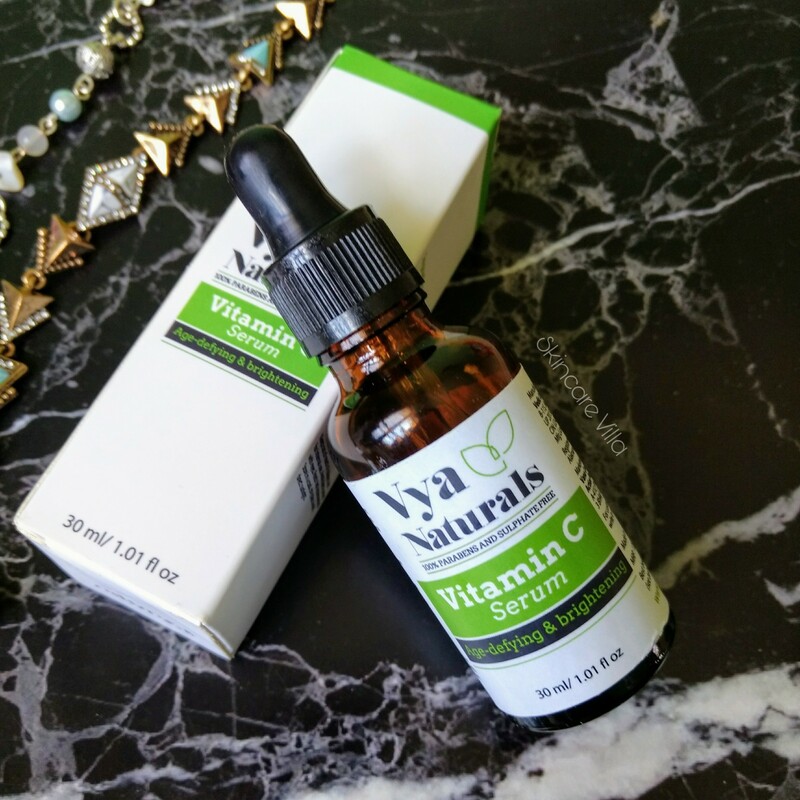 The Vya Naturals Vitamin C Serum is bottled in an amber coloured glass bottle with a dropper to use. I like dropper bottles as compared to dispensers and caps for serums. The Serum is water based and we need to use two pumps for each usage. The dropper is very helpful for this purpose. As stated earlier, I have used Vya Naturals Vitamin C Serum for 2 weeks regularly, at night time only. The very first day I used the serum, I felt a very mild itching sensation, although I didn't scratch my skin 😛. After applying the serum, the skin feels even toned. The serum is water based and I tend to use a little more every time. The serum gets absorbed like a charm, and you can use a moisturiser on top of it. Now coming to the efficiency of the product and it's effects on the skin. I have seen lightening of my new acne scars from day one of the application. 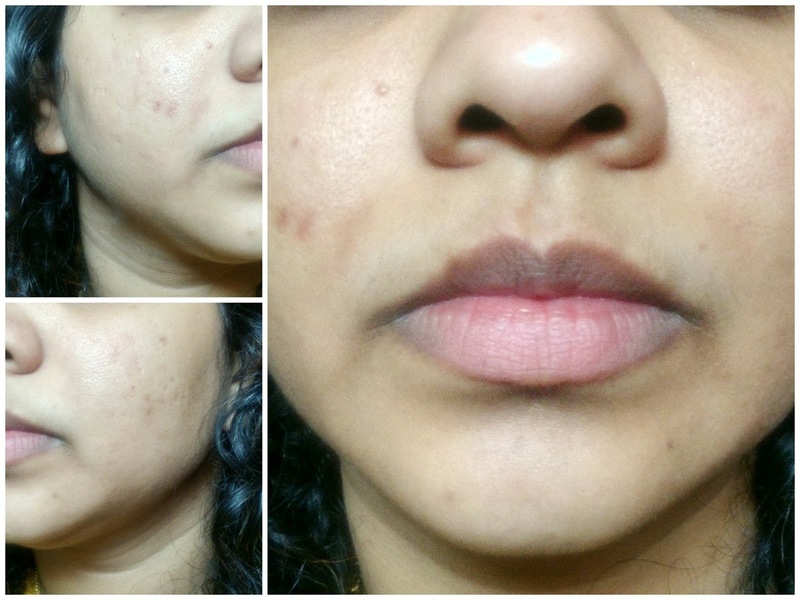 Although the pigmentation around my mouth has also lightened a lot, it took around 7 days to show effects on it. Also keeping in mind one time application per day, am quite happy with the results. Also the old acne scars take time to lighten. Also my skin has become a bit even toned on the cheeks where it's uneven. The directions for usage say that you can use it day and night, but I would highly recommend night time usage only, as just one time application yields amazing results. Also if you want to use during day time, you should use SPF. Also if you are planning to use on a long term basis I would recommend giving a regular break of 1 week and continue using the product. 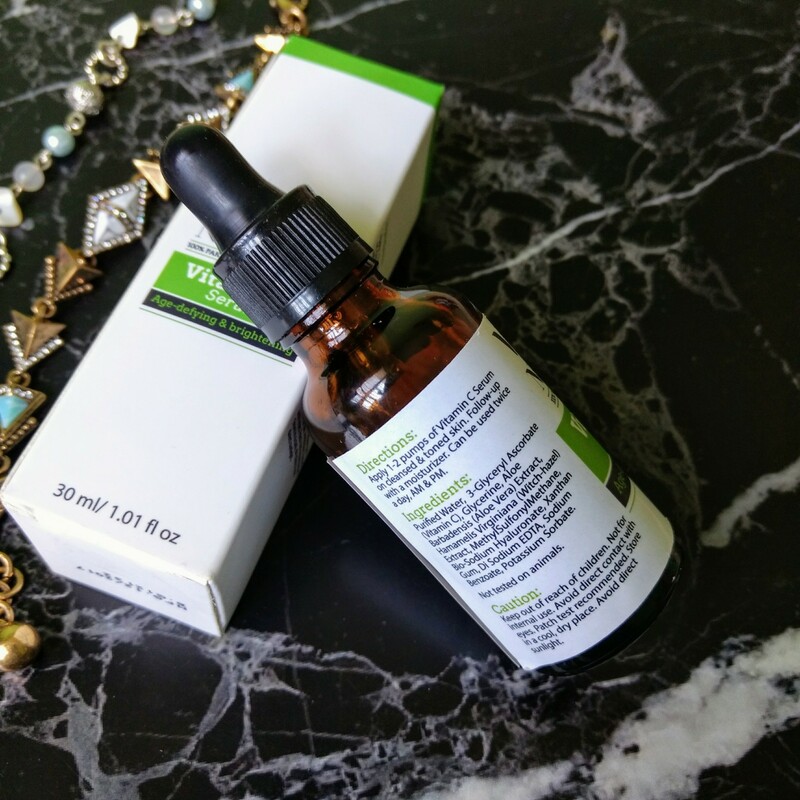 Overall speaking, Vya Naturals Vitamin C Serum is a good option to lighten the pigmentation and acne scars on face and neck and speed up the healing process of the skin. Plus the Serum being water based makes it easier to use it underneath a moisturiser and/or SPF. But it's highly recommended to use SPF while using during day time and for long term regular usage it is recommended to give in a break to the skin at regular intervals. I would love grabbing the product on a discount though. So as you all know, subscription boxes help us save some big bucks while letting us try some brands and then we can indulge into full size products and try out the brands. 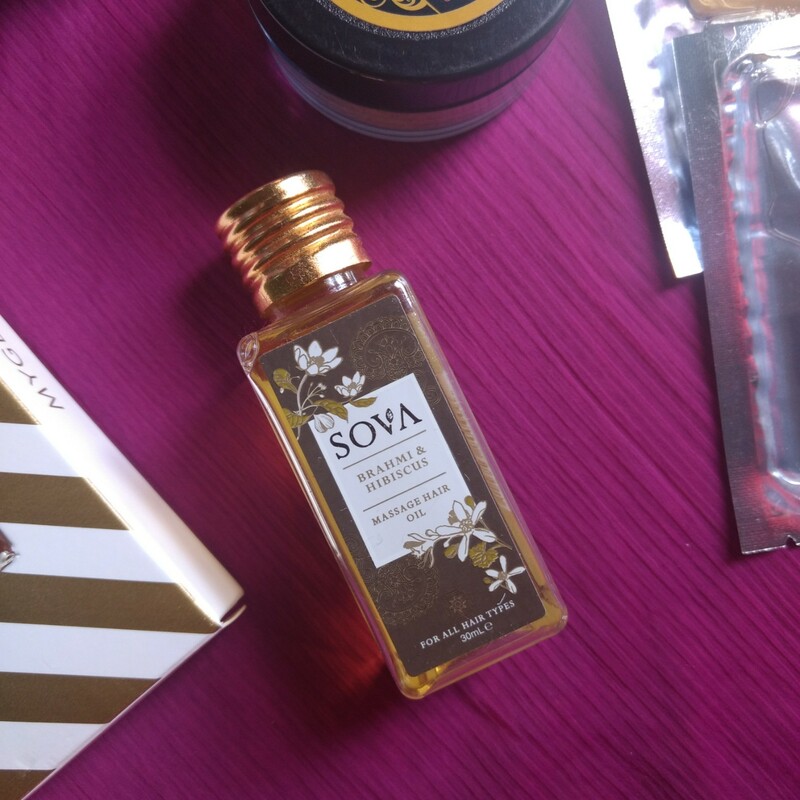 VanityCask is one such subscription box which allows us to try out high end brands at just 999 INR per month. 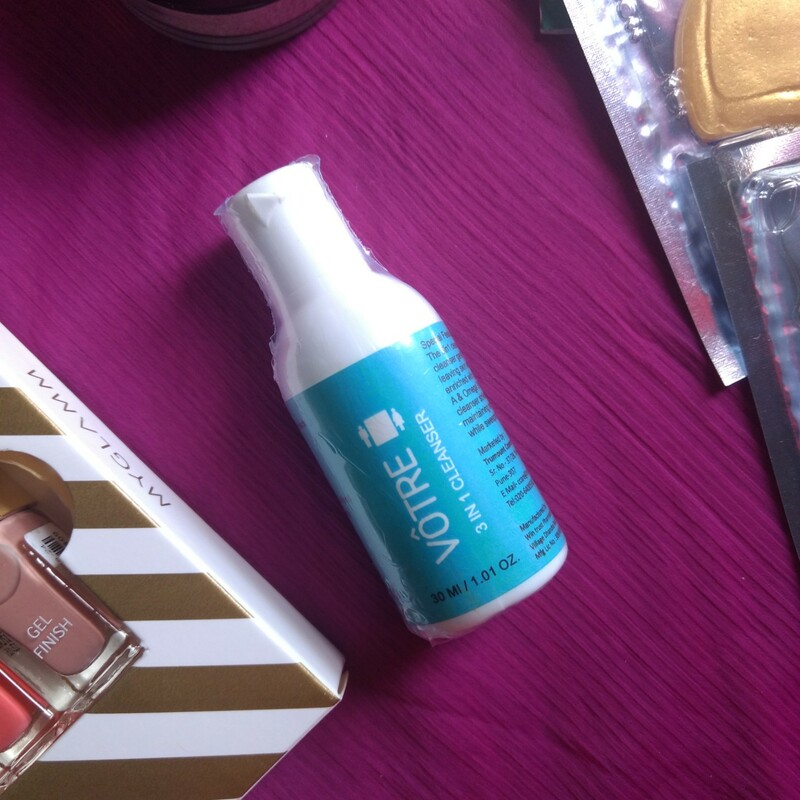 The brand Votre has been a part of the box since long and am loving it to bits, majorly due to the high price tag it has. And yes, VanityCask has also let me try Gulnare brand which otherwise I wouldn't have got to use. So let's see what the VanityCask Spring Fling Edition has in store for us. This oil treatment is soaked with the goodness of sixteen time-tested cold pressed oils of roots, seeds and stems to calm your nerves and strengthen the roots of your hair. Brahmi, the “herb of grace” soothes and relaxes the mind while giving deep nourishment to your scalp. Hibiscus accentuates hair growth and has anti-greying properties. 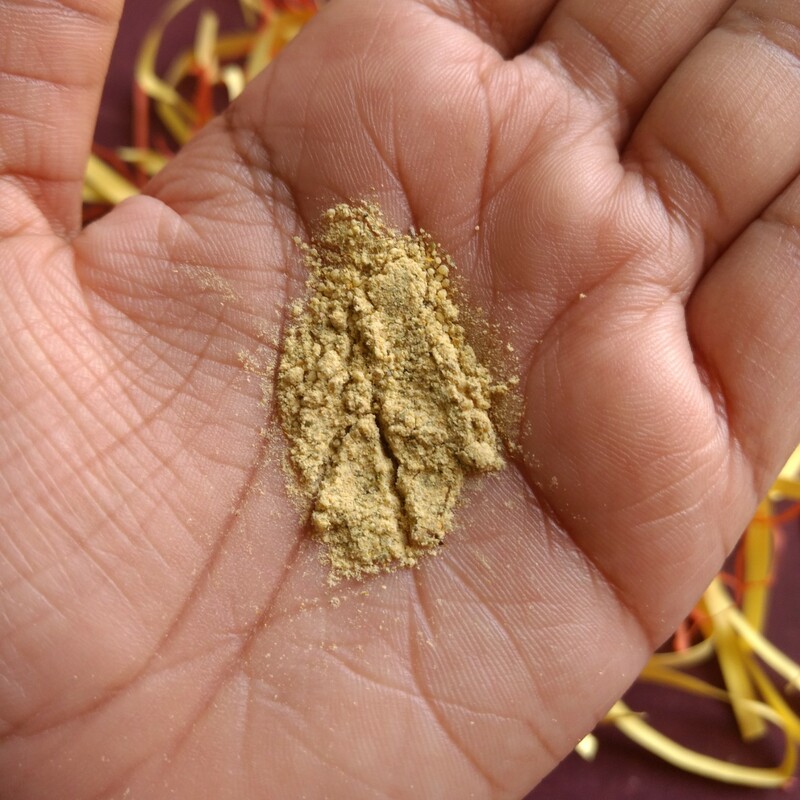 Key ingredients - Til, Brahmi, Bhringraj, Mehendi, Amlaki, Kumari, Neem leaf and Jasund phool. Apart from the product, VanityCask Subscribers get a discount of 10% on The Siva Rituals Vous Salon, Mumbai and is valid till 31st March. Shine bright like a diamond with this daily cleanser. Natural saponin found in Oats, Adzuki Beans and Hibiscus will gently exfoliate your delicate skin. Hibiscus is a natural source of alpha-hydroxy acids (AHAs) and rich in antioxidants. AHAs encourage fresher, younger, and smoother looking skin, giving you a natural botox! 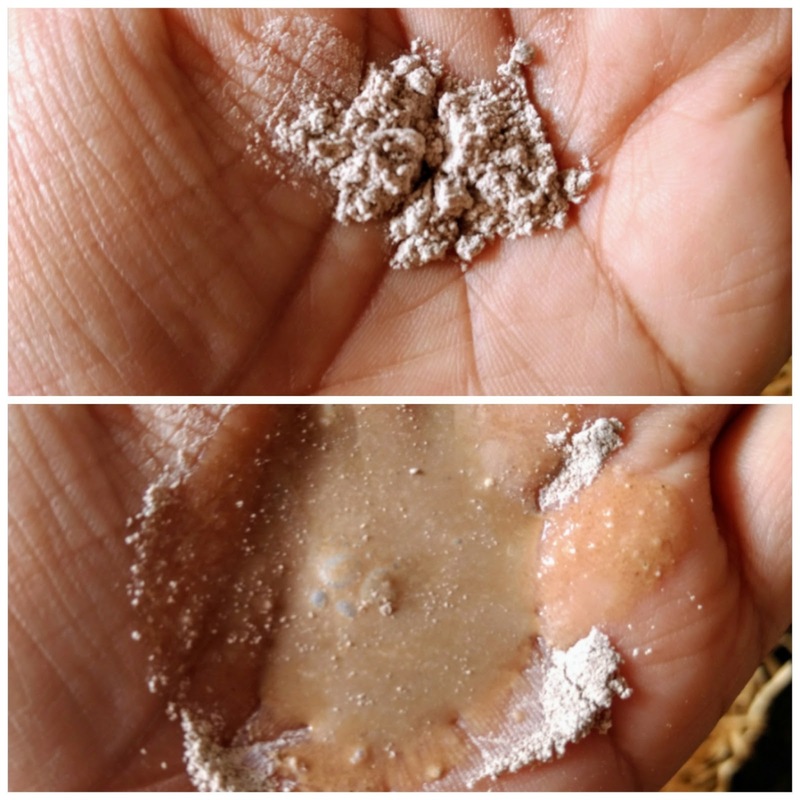 Bentonite Clay will draw out toxins and reduce the size of open pores. Key ingredients - Adzuki Beans, Hibiscus powder, papaya pulp powder, rice flour and Frankisense. VanityCask Subscribers get a 15% discount on entire order on bliscent.com valid till 31st March. MOND’SUB Skin Beauty Collagen Forehead Mask is moisturizing, makes your skin look smoother, keeps it firm and brightens the forehead. MOND’SUB Skin Beauty Collagen Nose Mask controls oil on your nose, tightens, nourishes and moisturizes the skin. Under the nourishing environment, it can control oil of your nose, improve, tighten, nourish and moisturize skin effectively. VanityCask Subscribers get a 50% discount on entire order on mondsub.in valid till 31st March 2018. Cleanse and rejuvenate your skin with Vôtre’s 3 In 1 Creme Cleanser. It removes dirt, impurities, make-up and excess oil effectively. It provides deep cleansing and toning. It moisturises your skin and keeps it hydrated. It cleanses your skin making it soft and supple. It improves your skin texture and brings a natural glow. I liked this month's box as it has everything ranging from hair care, face care and nail care. I especially liked the powder cleanser as well as the creme cleanser meant for normal cleansing as well as makeup cleansing respectively. 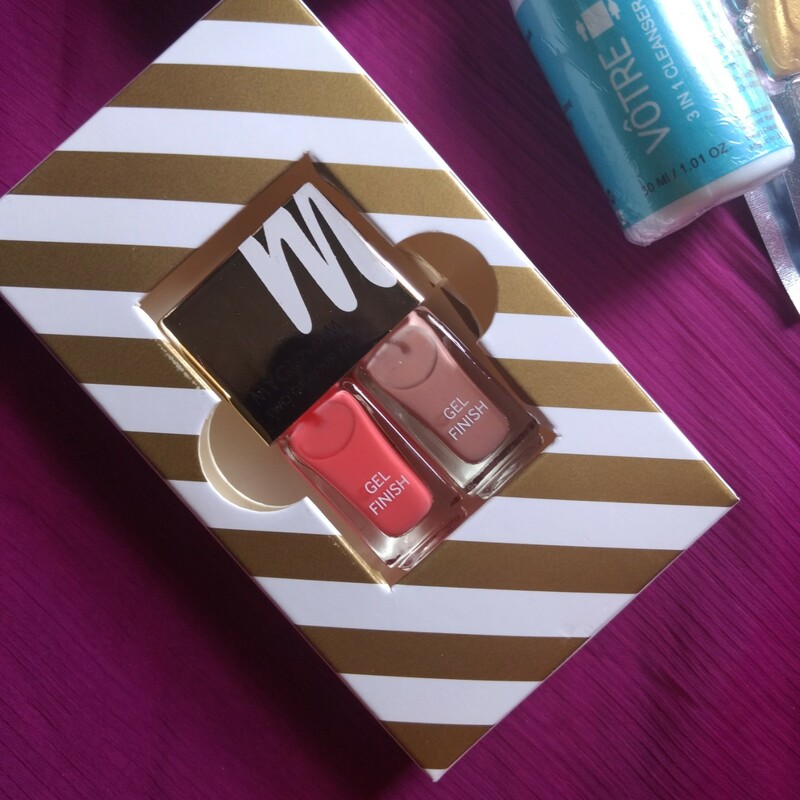 Moreover the Myglamm nail shades I have received this time are different than the ones received last time. So it's a good thing that VanityCask curators have paid attention to detailing of the contents. Moreover additional vouchers for shopping from the brands seems like an icing on the cake. I liked VanityCask Spring Fling Edition. Also, you can place your orders on the website VanityCask.com directly and pay via Neft Banking, Credit And Debit Cards, Paytm, Mobikwik, LazyPay. They also have COD facility wherein you pay once you receive the box. They also have a referral program wherein if your two friends buy VanityCask box with your referral code, you get one box free. And this referral program doubles up for each number of friends *2. The more friends you refer, the more free boxes you get! The past few months have been very depressing for me. Accidentally fracturing my leg, made my life literally a disaster. While recovering from the major surgery, post surgery exercises and now a bit of walking, I kept on blogging just to keep myself a bit busy and motivated. After all, there might be no one in the world for you, but your blog will always be there for you, wherein you can pour your heart out and follow your passion. I had shopped with Diya Naturals before going on my vacation (which got extremely extended) that is in November 2017. I absolutely love the lip balm and the oats cleanser. As you all know I have a soft corner for powders cleansers and so far am loving this one. This brand was on my wishlist for so long, like from last year. So when I spotted the offer on Nykaa, I immediately grabbed the offer. I bought the Chamomile Night Cream and Neem Face Pack. The Chamomile Night Cream is infused with Aloe Vera and some amazing oils, whereas I love sniffing the Neem face pack as of now. 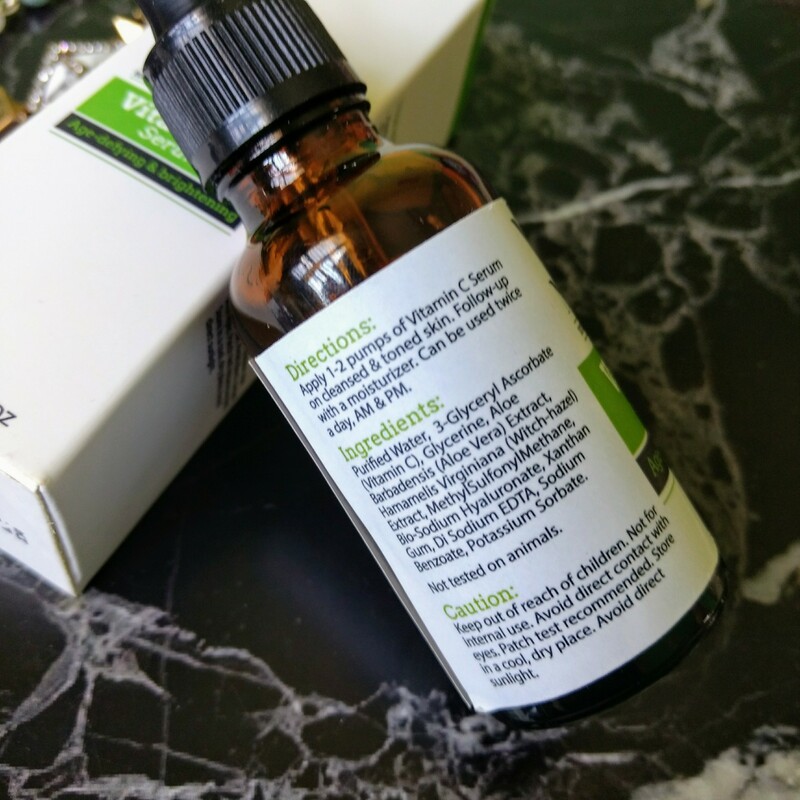 When I read Shalini's review of BioBloom Face Oil I knew I wanted it. Soon after that my fellow blogger and bestie Shwetali opened an Instagram store and this oil was up for selling. I just paid 300 INR with 80 INR shipping for the oil. And guess what Shwetali also sent me some freebies along with my purchase. Am super excited to try out The Nature's Co Saffron Radiance Cream and NBB cream. So this were my recent purchases and am as excited as you all are to use the products and review them for you all. Also according to the Instagram polls, I will be coming up with a list of top powder cleansers to use plus a DIY for all skin types. Till then take care and live life to the fullest. 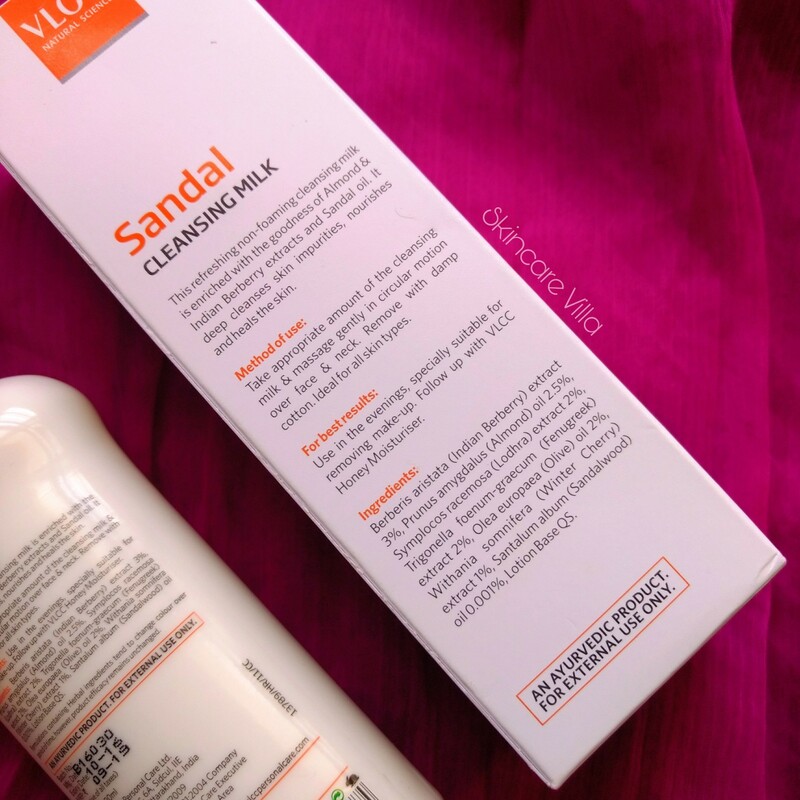 Today I will be reviewing the VLCC Sandal Cleansing Milk. I like using cleansing milks for CTM routines. I had purchased VLCC Sandal Cleansing Milk last time when I had run out of my stock. Also, I had received it in one of the VanityCask Boxes. Let's see how it fairs. The product is packed in a plastic flip too cap which is easy to carry and use. I like the compact packaging as well as the size, which makes it travel friendly. The lip top cap fits tightly so there is no fear of leakage too. The product is thick in consistency and white in colour. The texture is like they of a cream, soft cream. I like that the product isnt runny, else there is always a fear of spillage while using the product. The fragrance of the milk is that of a Sandalwood, but I somehow feel it is more of artificial fragrance, than a real one. The fragrance lingers a bit after using the product, but once you use a toner or floral water after it, the fragrance fades away immediately. Now coming to the efficiency of the product, it nicely cleanses the skin of dirt, grime and also removes makeup. It leaves the skin soft and smooth and gives a matte effect to the skin afterwards. I have been using the cleansing lotion for quite a while but, the only thing that bothers me is the artificial sort fragrance of Sandalwood, else the product is good value for money. Price, Shelf life and Availability - 140 INR for 100 ml with a shelf life of 3 years. Easily available on major shopping portals. 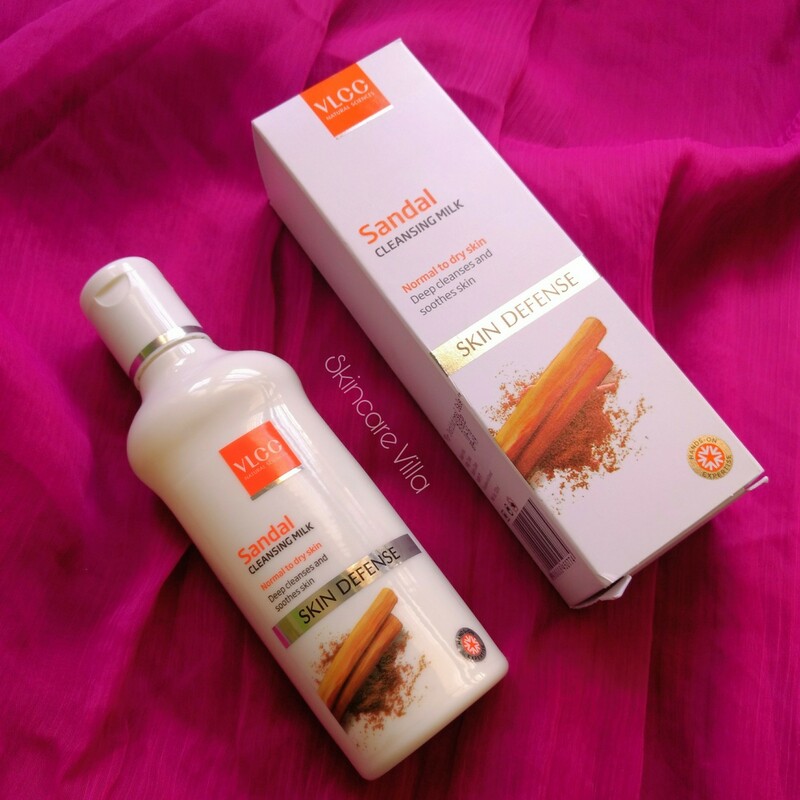 If you are looking for an affordable and effective cleansing milk, then go for VLCC Sandal Cleansing Milk. It is nice for CTM usages. I however doubt it's effectiveness in removing water proof makeup, since I hardly use any makeup. Overall a good to go cleansing milk. Today am sharing a DIY post after ages. I have tried making cleansing balm at home and I have been successful in my first attempt itself 😂. 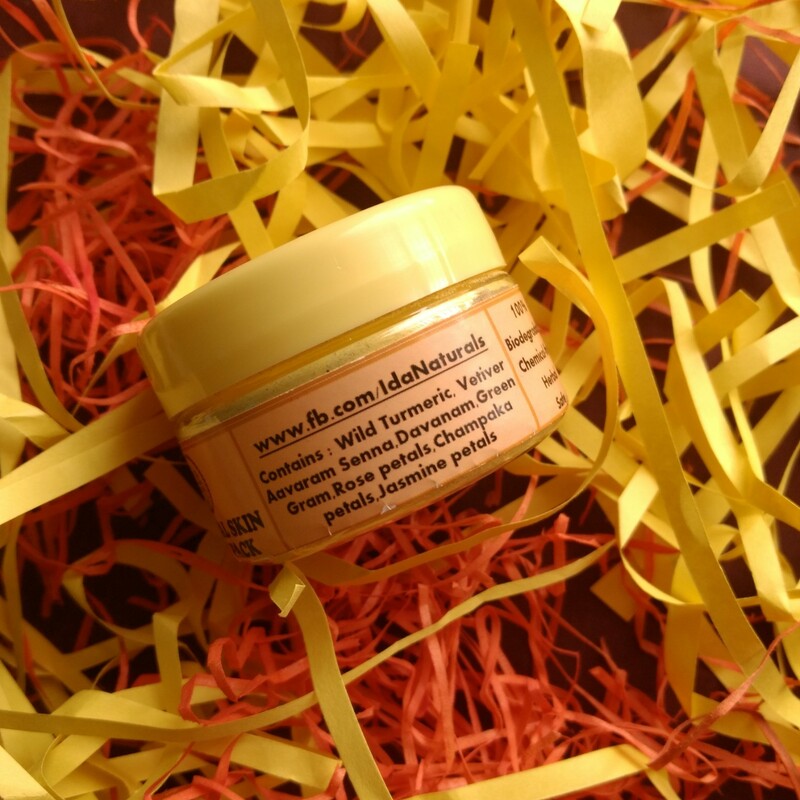 This version of cleansing balm easily removes makeup and nourishes the skin with the ingredients it has. The cleansing balm I have made is specifically for oily acne prone skin and so I have added the ingredients which accordingly. 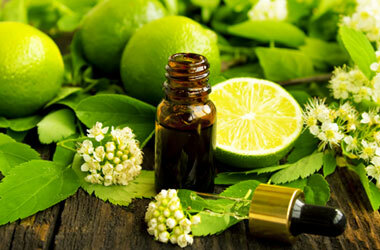 Also the carrier oils I have added is a blend which I use in my Coffee Green Tea Facial oil. Since the blend worked great for me as well as many, I made a balm out of it. So without wasting time let's head straight to the recipe. 1) Take a double boiler and melt Shea butter and cocoa butter. 2) Measure all the oils above and add one by one to the melted butters while stirring occasionally. 3) Let the mixture cool down a bit, then add essential oils. 4) Pour the balm into a glass container and close the lid. Make sure the balm has cooled down fully before putting the lid. 5) Keep the balm I fridge for 10-15 minutes to solidify it. 1) You can totally skip cocoa butter and instead add Shea butter of same weight. I added it solely to make the balm a bit thick in container. 2) You can add oil in gms or ml, I add in gms however. So the final product weighs around 30 gms. 3) 30 gms quantity is more than enough and will last longer. So never make a big batch of 100 gms at once and use over a period of time. Instead make small fresh batches. 4) Do not scoop out the balm with fingers. Always use a spoon or spatula. To use the balm I scoop some amount with a wooden spoon, and massage it in an upward circular motions on face and neck. I wait for 2-3 minutes and then dip a cotton pad in lukewarm water and wipe away the balm from my skin. I usually do two rounds of wiping. After using this balm I never feel the need to use a foaming cleanser, but if you feel you can use one. After cleansing I splash some water on my face and use my toner or any hydrosol or floral water. Then I apply my favorite facial oil and hit the bed. Sometimes I even skip moisturizing my skin, and I never had a problem with it. Although moisturization is recommended everytime. 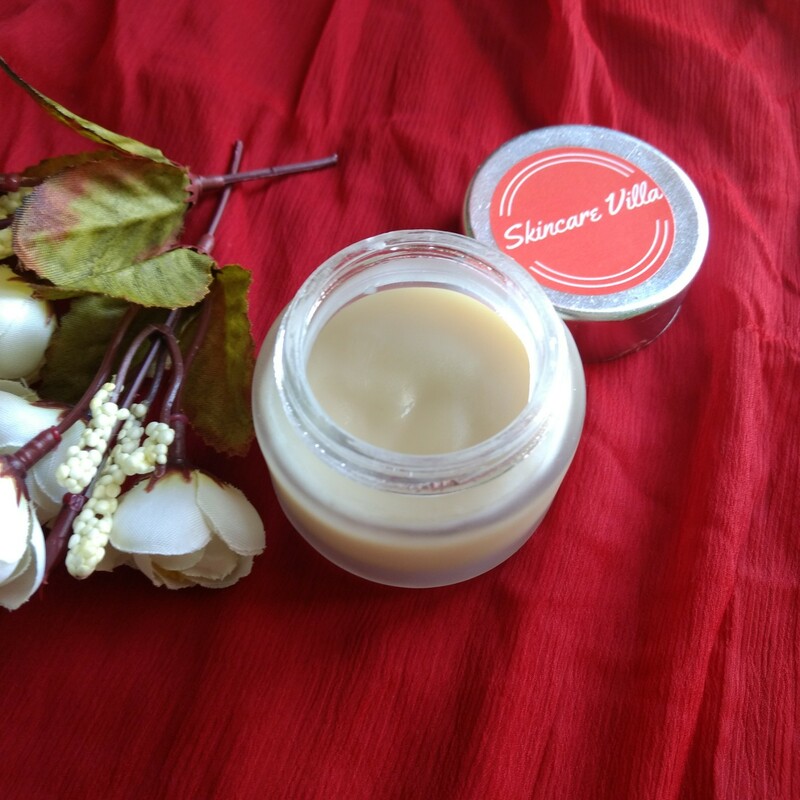 This DIY balm instantly plumps up the skin and makes it soft and smooth. Also it removes makeup, including eye makeup. It also removes all dirt, grime from skin and makes the skin look healthy. 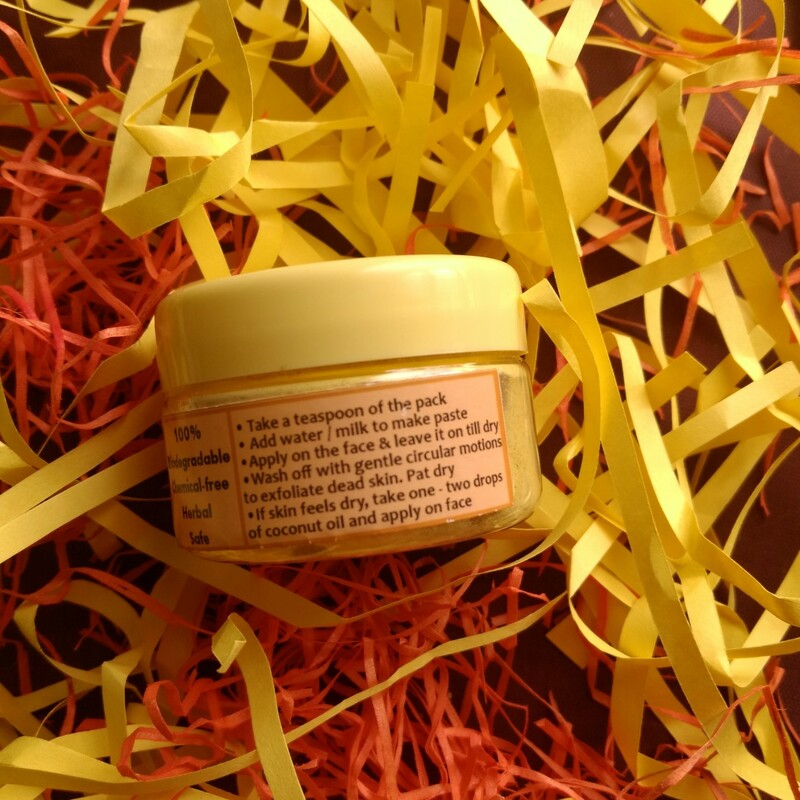 So this was my experience with the DIY balm which I made and which I also sell. If you want to read the review you can read Shreemayee's review on Shreemayee's Diary. So wrapping up for today, and bringing you more reviews and DIY like these 💕. Have a great day ahead ☺️. 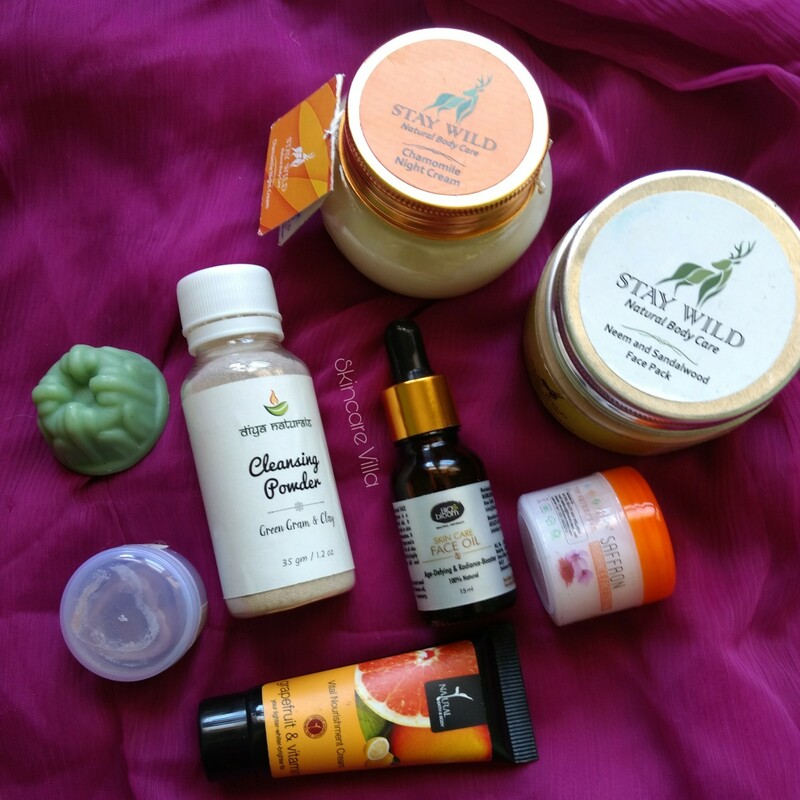 Why is Natural Skin Care better? Concern and love for skin isn’t uncommon among people as our skin is the organ that is most visible to our eyes. Everybody loves to have a smooth shining and soft skin, right? Hence, skin care products are on a great rise. We tend to spend a big amount of our income on skin care. Be it men, women or even kids, we all use skin care products to keep our skin attractive. Yes, we do expose the delicate skin of our newborns and toddlers to chemical based creams and massage gels assuming that would benefit our little ones. But are we really doing justice to the organ that serves not only as a protector but also regulates our body temperature, helps in sensation and excretes toxic waste? After exposing it to UV rays and pollutants the whole day, we try to pamper our skin by infusing more chemicals in it. Our poor delicate skin, that is designed to excrete toxins out of our body, unwantedly allows harmful chemicals and toxins to enter our body that may be dangerous to other organs. These products have various ill-effects on our health. A lot of studies show the chemicals present in cosmetics and skin care products can affect our hormones. A research also proved that certain chemicals can decrease sperm count in males and alter pregnancy in females. Cancer in another dangerous outcome of these chemicals and the cases are increasing day by day. There may not be any good research that conclude skin care products have a direct effect on cancer but there are definitely enough evidence to prove that certain chemicals in the moisturizers can cause skin cancer. Another important element to be aware of is mercury which has a toxic effect on the human body and can leave our kidneys damaged easily. Though this ingredient is banned in a lot of countries, there is a chance of it present in skin-lightening creams that are imported. A common product that we use in our day to day life is hand sanitizers or waterless hand cleaners. Though this product has made our life very convenient but unfortunately it has a lot of side-effects. Firstly, it doesn’t kill all the harmful substances and can be a reason for spreading of diseases. Secondly, its main ingredient is alcohol which can cause confusion, hypotension, coma, gastrointestinal bleeding and neuropathy if used for long term. Lastly, they also contain paraben which is associated with breast cancer. Hence washing hands the traditional way, i.e, with soap and water is very important and safe for our health. While talking of traditional way, I would also like to discuss a few traditional ingredients that our ancestors used to take care of their skin and are 100% safe for us. Aloe vera – This plant has been associated with healing of various skin problems. From acne to psoriasis, it heals most of our skins issues and makes it look fresh and beautiful. Turmeric – The anti-inflammatory properties of curcumin helps curing wounds and quick healing. However, one would be happy to see great results in skin lightening when turmeric and gram flour paste with water or rose water is applied on skin. It is a pocket friendly and totally safe scrub used since years. In some communities they use it for bathing infants too. Coconut oil – Skin moisturizing is very important for a smooth and glowing skin and nothing can beat cold pressed organic coconut oil in it. Night creams and moisturizers that are oil based are always safer and beneficial. Neem – Also known as Azadirachta indica is another plant that is used in a lot of cosmetics for its varied benefits. It’s anti-fungal and anti-bacterial properties make it really helpful for making medicinal soaps. It can also be very effective as a mosquito-repellent. Almond oil – This Vitamin E rich oil is best to nourish our skin. This oil could be used to massage kids and adults both, for a lively skin. Apple cider vinegar – This magical ingredient in our kitchen can be a very effective to treat fungal infections and also helps in treating dandruff and giving a healthy scalp. Some of the other natural substance good for our skin include, white butter, raw honey, shea butter and cocoa. People do find it difficult and time-consuming to use these ingredients for skin care in this busy world. 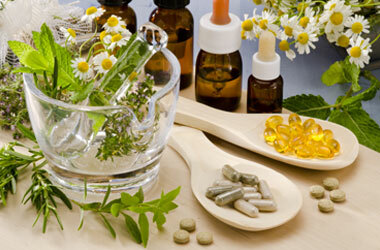 Hence, I would suggest to opt for skin-care products that contain these natural ingredients. Don’t miss on checking the ingredient list on the back of the pack and opt for a product that mentions just natural ingredients and contains no chemicals. Avoid buying stuff that have a long list of ingredients. The simpler the ingredients to understand, the safer it is for our body. To conclude, I would say opting for chemical based treatments may give us instant results but going for natural skin care will help us stay beautiful lifelong.